Director of Personal Finance, Senior Columnist Morningstar, Inc. 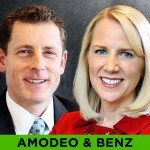 Earlier today Benz and I talked on the phone about her favorite retirement strategy, pioneered by financial planning guru and past WealthTrack guest, Harold Evensky. It’s called the “bucket approach” and it involves having three investment buckets, one short-term, another intermediate- term and the third, long-term. Benz will explain why she thinks it’s an approach that can work well for just about everyone. She also makes specific recommendations for each bucket. One of them was Harbor Bond fund, the no-load version of PIMCO’s Total Return fund run by legendary bond investor and past WealthTrack guest, Bill Gross. I asked Christine about the controversy surrounding Gross and the underperformance of his famous fund over the past year. We are not too concerned about the short-term underperformance, even though some of the calls have been off the mark recently. We still think that the resources that you get when you buy a PIMCO fund, particularly a core fund like that are worth sticking with… We’ve still got PIMCO Total Return as well as Harbor Bond at our highest rating, which is gold. So we are still standing by our recommendation of the funds. Premium subscribers can hear the entire interview with Benz starting later tonight. We will also post it in EXTRA tomorrow night. This weekend is the last of the two week fund-raising drives on public television so WealthTrack might be pre-empted once again in your local market. 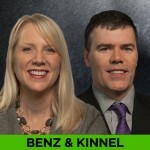 Consequently we are replaying the last interview I did with Christine Benz and her long-time colleague Russel Kinnel. Kinnel is the new Director of Manager Research and Editor of “Morningstar Fund Investor,” a monthly print newsletter for individual investors. Kinnel also oversees Morningstar’s fund analyst ratings, writes the “Fund Spy” column and a monthly mutual funds column For Kiplinger’s Personal Finance magazine. . In the meantime, have a great weekend and make the week ahead a profitable and a productive one! P.S. I have some very nice news to share with you. Last night I was honored at the Annual Dodge Dinner by the YMCA of Greater New York, the largest and oldest Y in the country. I have been privileged to serve on the board for nine years. I am sharing a video played at last night’s event, which gives you a good idea as to why I believe so strongly in the Y’s mission and accomplishments. You will be so impressed by Joshua Theodros, one of the evening’s Y emcees. Christine Benz Bucket List recommendations here. The mutual fund industry is being buffeted by two enormous shifts: investors are deserting actively managed funds for passive ones and they are fleeing bond funds for other sources of income. What do these changes mean for investors? In their first joint television appearance, two Morningstar all-stars give us their perspective and advice. also I have some very nice news to share with you. This week I was honored at the Annual Dodge Dinner by the YMCA of Greater New York, the largest and oldest Y in the country. I have been privileged to serve on the board for nine years. I am sharing a video played at the event, which gives you a good idea as to why I believe so strongly in the Y’s mission and accomplishments. You will be so impressed by Joshua Theodros, one of the evening’s Y emcees.